It probably started with the ice cream sandwiches. Friends invited Tom and me for dinner and I brought homemade oatmeal chocolate chip cookies with vanilla Haagen Daaz sandwiched between. They were delicious, so delicious in fact that when I woke up the next morning I’d been transformed into a different person. This person was slow moving, cranky and headed dangerously toward a pregnancy weight. Okay, to be honest, it might have started before the ice cream sandwiches. 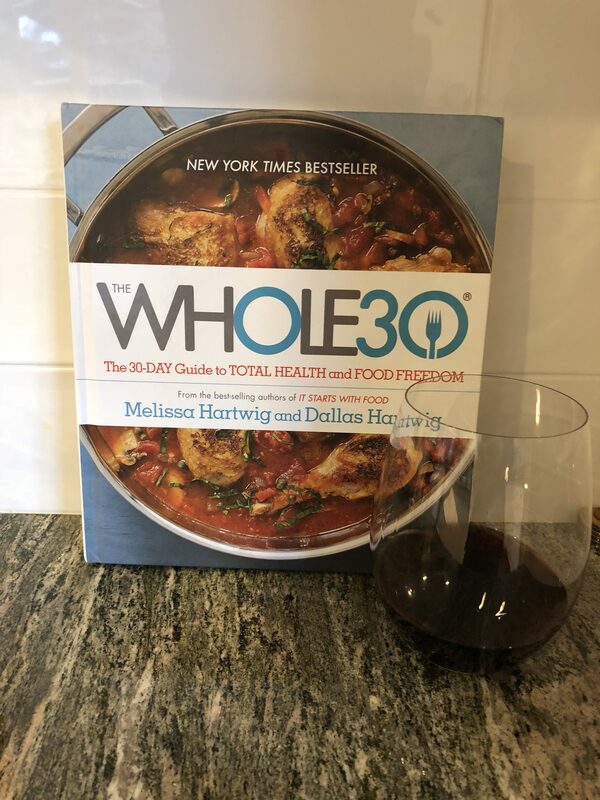 So in a rock bottom moment I convinced Tom that we should start the Whole 30 – thirty days without grains, dairy, sugar or alcohol. Yes, we could have coffee. I’m not insane. Week 1 was shameful. I was in agony over the amount of creative food prep it takes to make a delicious meal without anything delicious in it. It was seven full days with no easy outs like pizza delivery or Chinese food, while trying to convince people that there’s anything rice-like about cauliflower rice. But mostly it was the wine. I had been having a glass of wine every night for at least a decade. Its absence made me really look at its purpose. That glass of wine marked the end of the workday, which I would argue is particularly critical when you work from home. That glass of wine was there to spice up the evening routine, to make quizzing my middle schooler for his social studies test feel like a party. I began to brave the hours between 6 and 8pm with a glass of seltzer water instead, and let me just say: it’s not the same. During that week, one of my favorite students noted that I was kind of cranky. “Am I?” I replied with a steady smile. I hate you, I thought. On the first day of Week 2, everything changed. I opened my eyes and leapt out of bed before my alarm went off. I drank my delicious and Whole 30 sanctioned black coffee and wrote something. I loved this thing I wrote. I loved it so dearly, this product of my clear mind, that I sent it to the New York Times. Of course I should be writing for the New York Times, I thought, I’m Super Me! Interestingly, the New York Times did not pick up my article. It makes me think they’re all sitting around eating chips and drinking beer, obviously not seeing things as clearly as I do. Week 3 was the week that I realized my home was suddenly the place where fun goes to die. All conversation centered around food, which I happen to think is the most boring topic in the world besides leaf blowers. 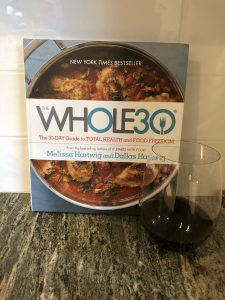 Specifically, we debated what foods were Whole 30 sanctioned and conducted extensive research on bacon that is prepared without nitrates, sulfites or sugar. We concluded that that particular bacon is called “sliced turkey.” Don’t bother. At this printing I will be done, and the promise of miraculous results will manifest. I actually have no clue what those things are. But as I round out Week 4, I’ve come to understand why it’s impossible to quit something for 30 days but possible to quit something for one day, thirty days in a row. I’ve sort of lost my taste for cheese and crackers, but I’m looking forward to a glass of red wine. That, and talking about something else.